Dr Jed Odermatt proposes the establishment of a standing international tribunal. 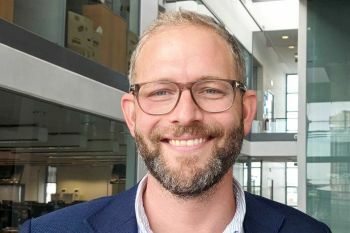 City Law School Lecturer Dr Jed Odermatt has recently published an article titled, ‘How to Resolve Disputes Arising From Brexit: Comparing International Models’, in the International Organisations Law Review. Dr Odermatt, whose recent research is focused on the law and practice of international courts, in particular the Court of Justice of the European Union (CJEU), discusses the different options for dispute settlement during the transitional period following the UK’s exit from the European Union, as well as the possible forms of dispute settlement that could be used to resolve disputes regarding the future relationship between the UK and EU. He argues that there is no existing dispute settlement system that is fully appropriate to deal with the various complexities and challenges associated with Brexit. In the article, he proposes the establishment of a standing international tribunal to resolve disputes arising from Brexit, drawing inspiration from various international models. A standing Brexit dispute settlement body, combining elements of the EFTA Court system and the more traditional inter-state model used in FTAs, could potentially address the legal and political concerns of both the EU and the UK. Such a proposal reflects the unique nature of Brexit, which involves the exceptional situation of a state departing an international institution while at the same time establishing a new relationship with it. For more information on Dr Odermatt’s research paper, please visit this weblink.